Hoi An’s ancient temples and pagodas are packed with worshippers; the smell of incense fills the streets of the old town; tables of votive offerings for ancestors and spirits stand outside every home, lit by flickering candles: It’s the eve of the Lantern Festival in Hoi An, also known as the Mid-Autumn or Harvest Festival. Traditionally this is a time to thank the gods, ghosts and ancestors for a good crop, to eat good food, and for children to play around dressed-up in masks and carrying special lanterns. 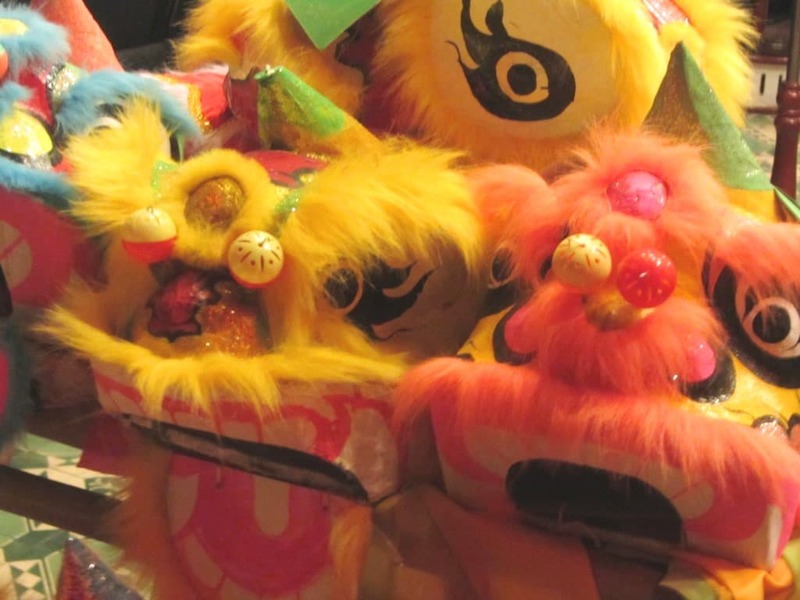 Troupes of dragon dancers roam the streets, paying a visit to any shop owner looking to have their business blessed for the coming year and cleansed of any bad luck. There’s a sense of anticipation in the air as dusk falls in Hoi An: locals, Vietnamese and foreign tourists alike wait for the lanterns to be turned on and the dragon dances to begin. 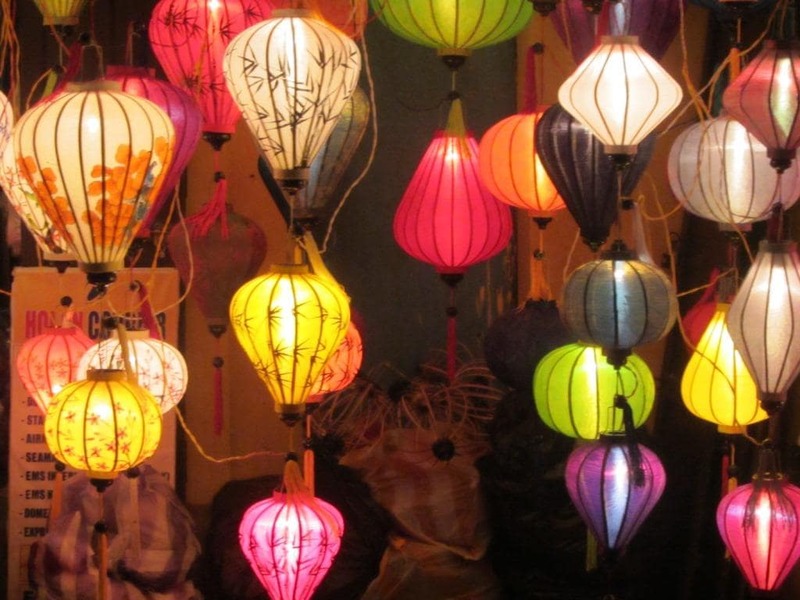 Even on a ‘normal’ day Hoi An exudes plenty of charm, but during the Lantern Festival it’s more beguiling than ever. Here’s what it looked like during the celebrations on September 8, 2014. 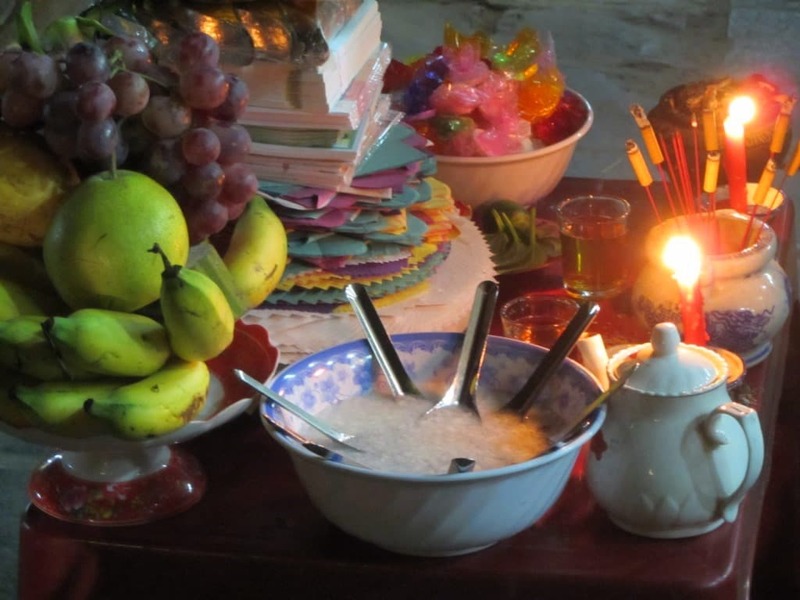 As the sun sets and the full moon rises residents of Hoi An set up tables full of offerings for dead ancestors: food, tea, paper money, houses and cars. Children dress-up in costumes and masks resembling dragons and other characters with ghoulish facial features. 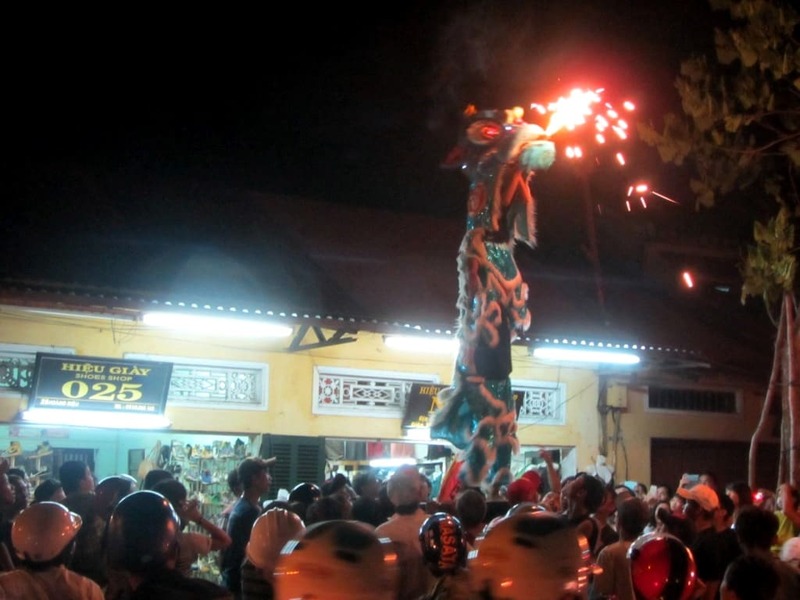 Dragon dancers perform outside shop-fronts to bring prosperity and ward off bad luck. All traffic and passers-by stop to witness the acrobatics of the fire-breathing dragons. The troupes are made up of boys, mostly in their teens. 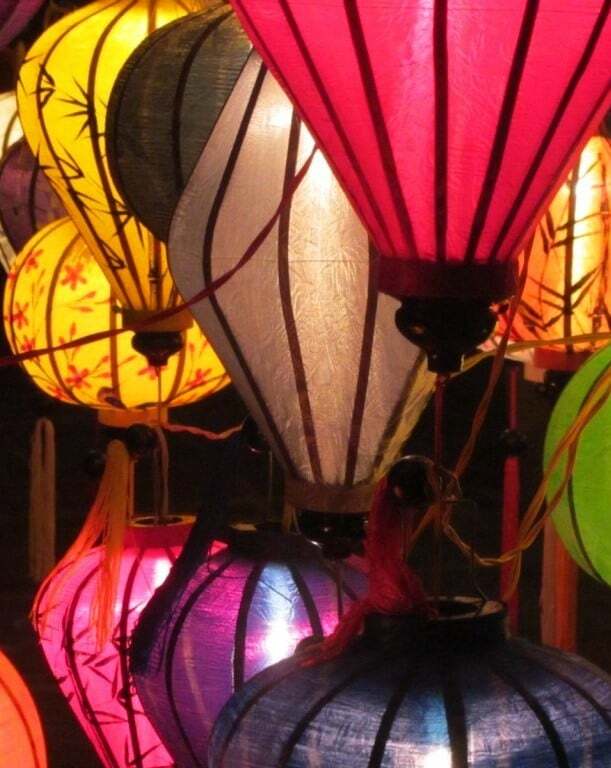 All other lights are extinguished in Hoi An’s old town as hundreds of lanterns are lit. Hanging from trees and illuminating shop fronts they create an irresistibly romantic atmosphere. This ancient light show creates an enchanting play of light and shadow on Hoi An’s old buildings and stores. 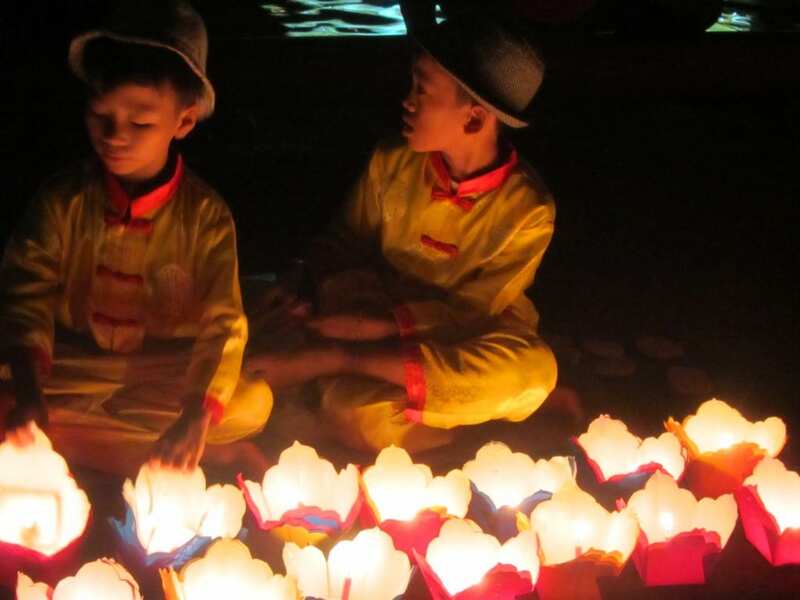 By the Thu Bon River children sell lanterns to people who set them afloat on the water with a wish. 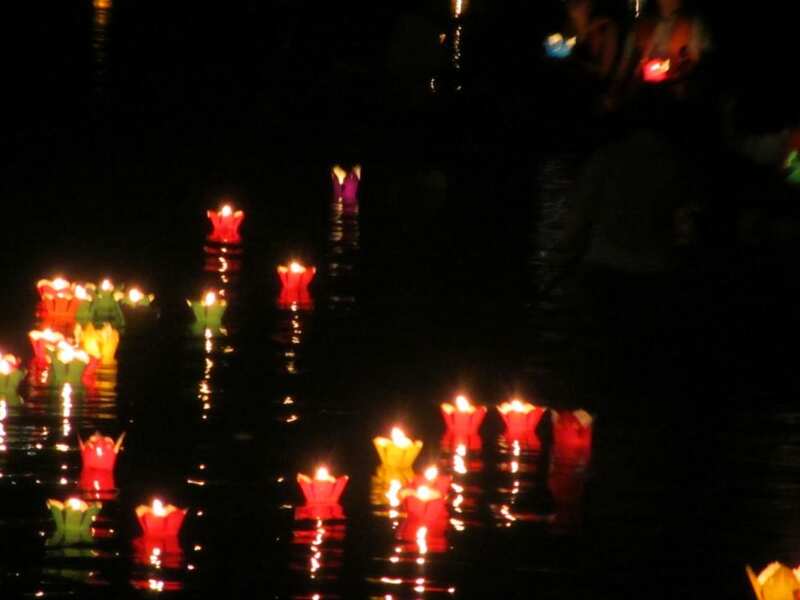 The floating candles are released onto the Thu Bon River sprinkling the dark water with bursts of colour and light. 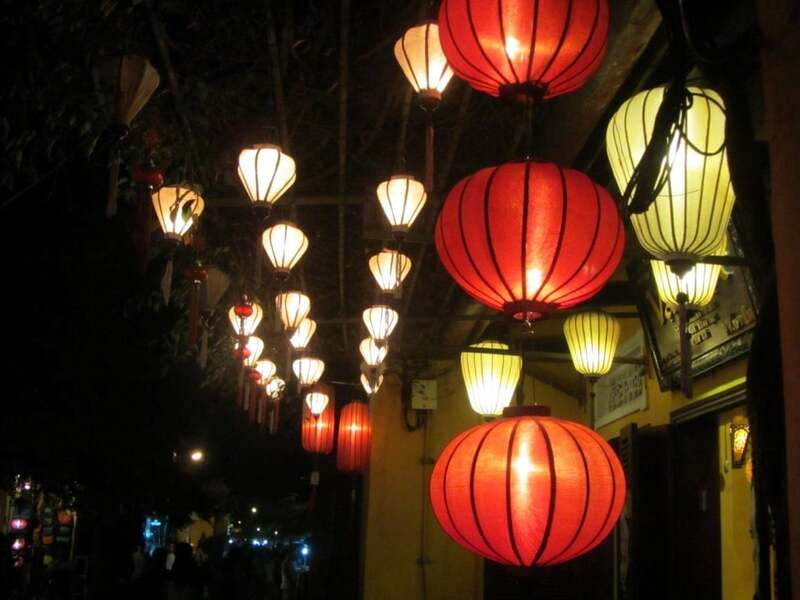 It’s a captivating evening and thousands cram the narrow streets of Hoi An’s old town to watch the dances, see the lanterns and soak up the atmosphere. 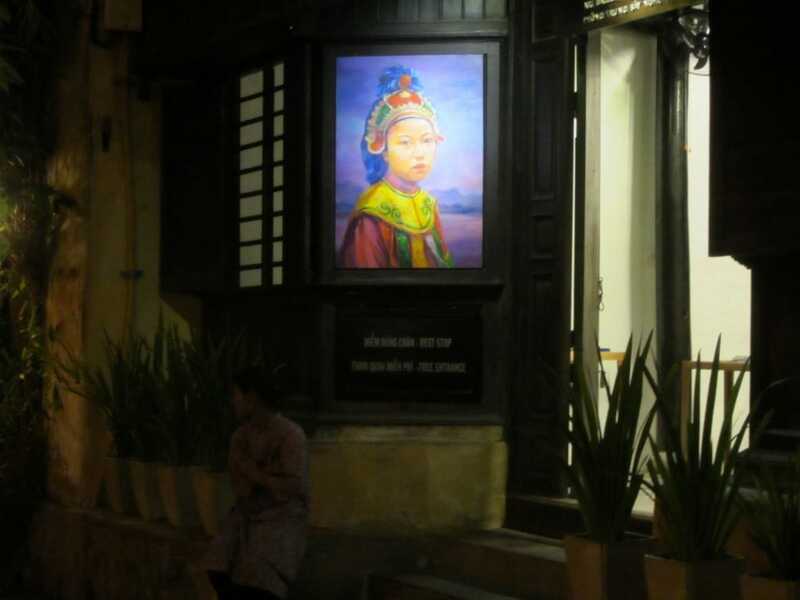 This entry was posted in ALL, Cultural, DESTINATIONS, Hoi An, The Centre and tagged festival, guide, Hoi An, lanterns, mid autumn, old town, travel, Vietnam. Bookmark the permalink. 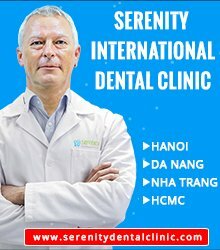 I am arriving in Ho Chi Minh City on March 5 after 3 weeks in Cambodia ,and leave from Hanoi on the 11th. 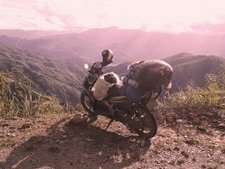 I wanted to visit Hoi An and take in Halong Bay …what method of transportation would you suggest with my limited time to see as much as possible. I prefer to visit the countryside and coastal views over the larger cities.The guide books make different suggestions for every situation so it’s hard to know . 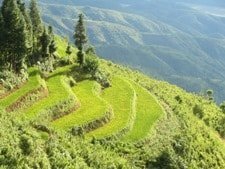 Because you only have a week in Vietnam you will need to fly between Ho Chi Minh City and Hoi An (Danang) and then from Danang to Hanoi (for Halong Bay). You will not have time to take the train, unless you take the overnight train from Danang to Hanoi or Halong (check Seat61.com for train times). From Hanoi you can arrange a tour to Halong Bay for 1 or 2 days. If you book your flights in advance then you can get very cheap deals by using one of Vietnam’s budget airlines: Vietjet and Jetstar. This festival sounds really interesting to go to. My family are planning to visit Vietnam in August 2016 and so I am wondering if you know what date it will be held? Hi Tom We are planning to visit Vietnam in Dec/Jan. 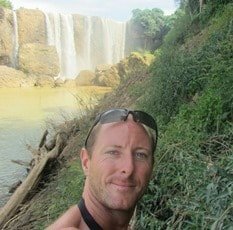 Had thought to spend 3 nights on Koh Rong (Cambodia) before moving to Phu Quoc for 4 nights and 3 nights in Ho Chi Minh City followed by 4 nights on Con Dao. Having read reviews I am having second thoughts about Con Dao. We like good beaches and weather so not sure if Con Dao will be the right choice. Our other choice was Hoi An but I am worried that at this time of year it will be too wet. Where do you advise we go? I think you’re right about Hoi An. The beach is good there, but you never know at that time of year whether the sun will be out or not. Con Dao is more difficult to say. 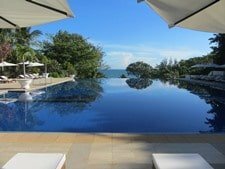 It is definitely a fabulous and unique destination – one of the best in Vietnam – but if you’re true beach bums then places like Phu Quoc, the Cambodian islands would be more set up for you. The weather on Con Dao at that time should be OK but it can be windy, which isn’t great for the beach. If you’re main concern is the beach then you’ll want to stay on the beach. This narrows your choices to a handful of accommodations (see my guide for more info). Mui Ne and Nha Trang are all about the beach too, as I’m sure you’re already aware. Find a nice place to stay in either and you should be happy. (remember that in Nha Trang the beach is across the road). 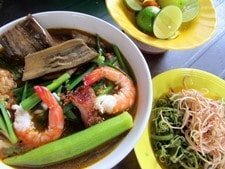 Or you could stay longer in Phu Quoc – just spend a few days in different part of the island. We were there for the festival and went for a 30 minute boat ride on the river with the lights out and the lanterns on and all the candles floating down the river. Really nice. Google gives all the dates for 2015.
do you know how long the festival continues for? We arrive there in a few days time, September 16th and staying a week. Can’t wait.